Permaculture, the shortened version of ‘permanent agriculture’ or ‘permanent culture’, is a school of thought that seeks to mimic the natural patterns of nature to find regenerative solutions to the basic needs of humans and the environment in which we live. With a view of providing holistic regenerative systems, permaculture provides a toolkit of ethics, principles, and hands-on tactics to help build sustainability in terms of food, water, shelter, energy, waste, and community. 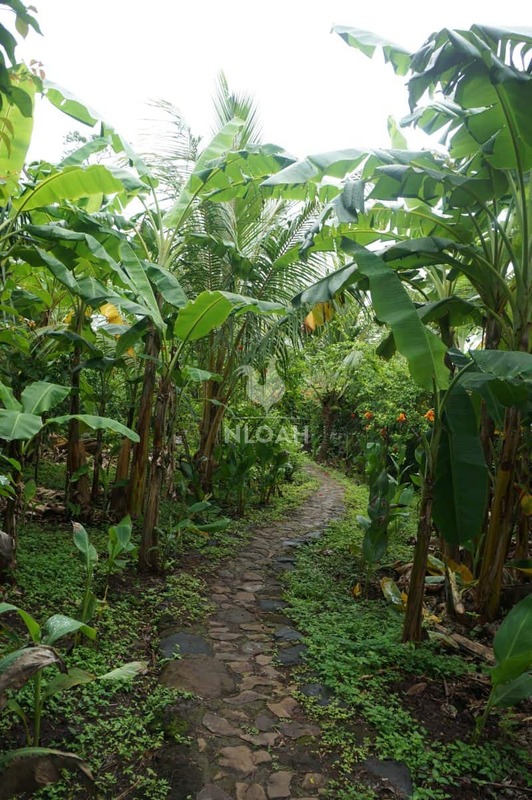 The idea is that by utilizing the permaculture methods, we can repair the environment and our situation within it to provide sustainability and self-sufficiency rather than a linear pattern of destruction. Permaculture outlines three main principles of focus that form the core of the philosophy: Earth Care, People Care, and Fair Share. Each of these ethics intertwines with the others to form a solid tripod on which the tools for regeneration are bolstered. Permaculture has a whole host of benefits to the home and land. Through using natural resources, permaculture significantly reduces costs as there is no need to invest in expensive fertilizers, herbicides, compost and so on. Using permaculture techniques helps to reduce waste and pollution by recycling resources and energy, while increasing yields due to insightful and innovative design mechanisms. Through appropriate technology and conscious self-awareness, you’ll find that permaculture builds biodiversity and a sense of community, that creates resilience and empowerment all the way from the soil to the society. While permaculture appears to be a fancy form of gardening, it actually encompasses far more than this. Moving on from simply planting food and flowers, permaculture seeks to build interrelated systems that focus on attending to three main issues: Earth care, People care, and Fairshare. Earth Care is the part of permaculture that has people hooked on the gardening concept. The first ethic of permaculture relates to caring for the earth in order to work with nature rather than against it. Our current systems reap nature’s bounty without returning any of its sustenance. This is entirely unsustainable and will leave the Earth desolate. Earth care seeks to take a step back and pattern our behaviors toward less consumptive models. Rather than solely extracting, Earth Care invites us to put back, to recycle resources, and to regenerate the systems we have been purging. By cycling energy, which leads to higher yields through recycling waste products, we can use biological resources to pull back the consumptive footprint. Through this we can devise methods to take care of the Earth so it can provide a balanced system in all its abundance. People Care is the more sociologically driven avenue of permaculture. This arm of the ethical wheel deals with political, social and community systems with the aim of teaching empowerment in people. Teaching self-sufficiency, community initiatives, and localism, people care aims to create liberation through self and communal care. However, rather than putting people first as our modern society does, People Care aims to work in collaboration with Earth Care, teaching individuals and communities to work within and with the natural patterns of the Earth to create abundance within themselves and for those around them; including the planet on which we all live. By working together on practical solutions, increasing awareness, and practicing self-care, the People Care ethic provides the assurance that humans can create a regenerative system in which everyone’s human needs are met in a logical and realistic manner, and each individual can flourish in an empowered and abundant state of being. Fair Share, often coined ‘sharing the surplus’ or ‘reinvesting the ends’ refers to the regenerative patterns of economics that need to be implemented to combat over-consumption and the poverty gaps we see both in human and earthly culture. Essentially, through Earth Care and People Care, the system will lead to fair sharing throughout the whole system, restoring balance and ensuring regeneration. Such as is organically patterned in nature, if everyone only takes what they need – rather than all they want – there will always be surplus to reinvest back into the system, creating higher yields and cycling energy back through the system. This creates efficient biodiverse ecosystems that can thrive physically, socially, and economically so that no element suffers at the hands of another. Permaculture has a multitude of benefits that can be seen to ripple across the whole landscape, from the soil to the community, feeding back into the system to create resilience and regeneration. When we run a garden using non-regenerative methods, we find ourselves constantly pitching out money for different add-ons. Whether it be new soil each year, seeds for the next season, water when our wells dry, or herbicides to deal with the weeds, growing can be an expensive endeavor. When you scale this up and consider the costs of living, we all know the hardships of high rent prices, extortionate utility bills, and inflated food prices. The world we live in is constantly costly. Permaculture encourages the reduction of consumption and the generation and reuse of resources. Inevitably by becoming prosumers (consumers that also produce), we reduce out outgoing costs as we become more self-sufficient in providing for our own needs. Moreover, using design techniques that encourage innovative thinking, we can increase our yields in all areas of our lives to reduce these costs even further. Consider this, if we build a natural building to live in, we have eliminated the cost of rent. However, if we use more in-depth permaculture techniques – aligning the building with the sun’s movement, using certain materials to take advantage of thermal mass, finding natural ways to insulate, building a draft cabinet (electricity-free fridge), and utilizing passive solar energy – we reduce our utility bills dramatically. Permaculture fosters the art of design to equip you with the tools to reduce consumption and increase yield, therefore reducing the overbearing costs of life. The consumptive model that our culture is entrenched in promotes ‘using things up’ rather than ‘using them’. In this sense, many items have become throwaway. From the unbearable influx of plastic packaging to the limited lifespans of gadgets and fashions, we have created a lifestyle that generates an unprecedented amount of waste. This waste is thrown in landfills or finds its way into our water ways, damaging the Earth, poisoning water supplies, producing harmful toxins, and generally degrading our environment. Permaculture seeks to reduce waste in a few different ways, using the slogan ‘there’s no such thing as waste, just things in the wrong place’. Through the reduction of external purchases by producing goods in the homestead, such waste as packaging is reduced. Furthermore, the concept of recycling goods is harnessed more effectively, in line with the principle that ‘the problem is the solution’. 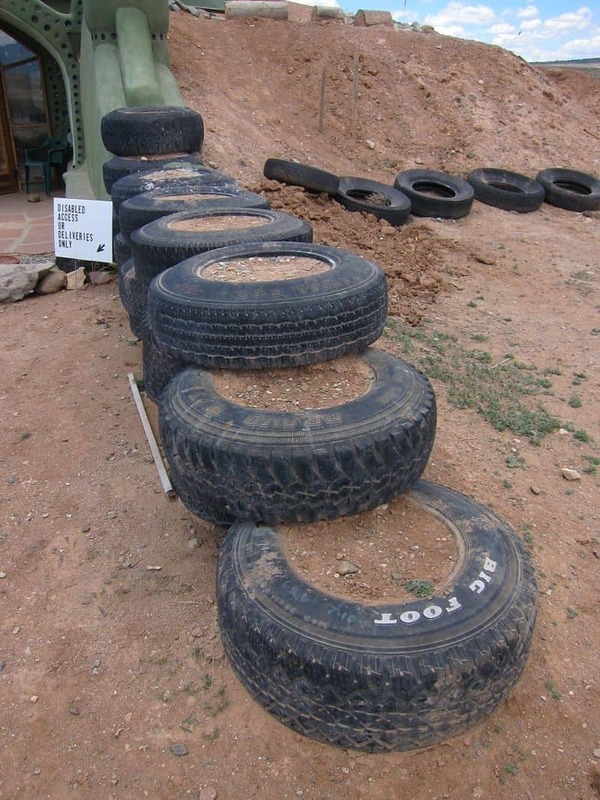 For example, old tires and plastic bottles, that take thousands of years to degrade, can be repurposed to build super strong housing structures. Equally, by using biological resources and cycling energies back through the system, using techniques like sheet mulching and composting, waste is reduced even further. In doing these practices, pollution is automatically decreased. There is a permaculture adage that says ‘the yield is theoretically limited only by your information and imagination’. In our society we are conditioned to believe that bigger and more equal better. In permaculture, adjacently, the underpinning concept of diversity plays a huge part in increasing yields. When a field is monocropped or planted with only one plant, a plague of a particular pest could lead to the loss of the entire crop. Moreover, degenerative techniques of farming such as the use of pesticides may appear at first to increase the yield of a crop, but over time this very crop decreases. When herbacides and pesticides are applied to soils, coupled with the unnatural practices of row cropping and monoculture, we find a significant degradation of soil over time. This leads to the lack of crop production across the years. Permaculture techniques seek to increase yields in a variety of different manners. Firstly, by using natural techniques such as rainwater harvesting, guild planting, forest farming, micro-animal husbandry, sheet mulching, and land contouring, the soil manages to stay at a healthy level. This encourages the crop yields to increase over time as the soil becomes richer through the farming that occurs upon it. This can also be seen in permaculture sociological communities. In our society, the cheapest products are usually available from large, disassociated corporations whose sole goal is to maximize profit. As our lives are dedicated to earning money to survive in this economic model, we tend to look for the cheapest products, sacrificing quality and craftmanship. Conversely, in permaculture communities, nature-based cottage industries are encouraged with consumers sourcing their goods locally. By doing this, economic funds and social support are fed back into the system, enabling craftsman and small businesses to utilize these resources to increase their yields and to improve the quality of those products. This can be seen in places like Brixton, UK with the introduction of the Brixton Pound. Another way to consider yield increase using permaculture is through diversification. If a farmer has an entire crop of potatoes eaten by a pest, he has no yield whatsoever. Equally, a farmer that grows only potatoes has to sell the majority of those to buy other things for himself, besides the small amount of potatoes he consumes himself. After all, one cannot live on potatoes alone. In permaculture, companion planting, guilds, food forestry, and other such methods encourage diversification of crops. In this sense, by using the natural patterns of nature, far more crops can be planted in a smaller space. For example, a typical Native American technique of planting promoted in permaculture is The Three Sisters. 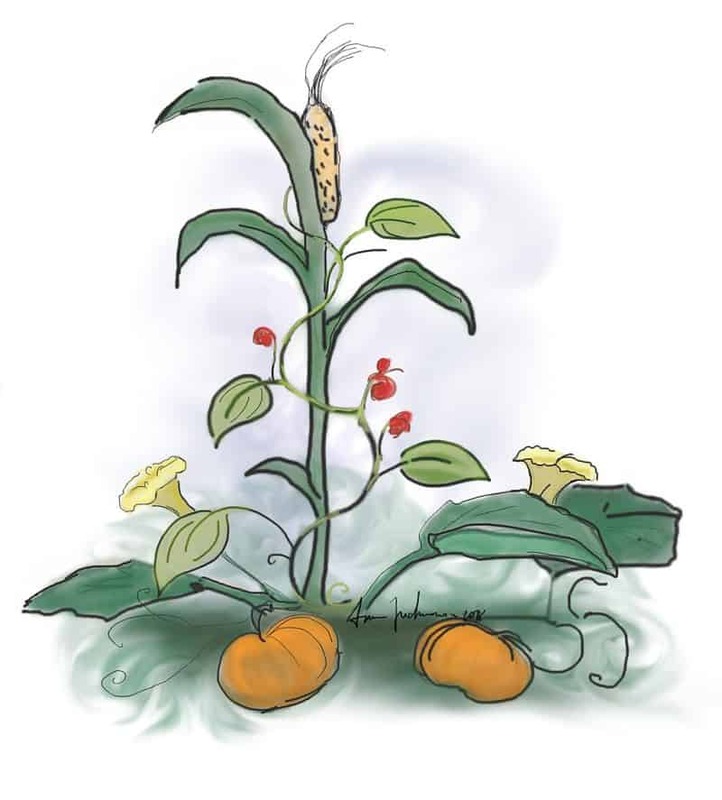 Corn is planted, providing support to beans that produce nitrogen to help the corn grow, and squashes creep along the ground to protect the soil from erosion. These three things can all grow in the same space, help each other to grow, and increase the yield. In fact, potatoes can be planted below ground, while wild flowers and herbs can help to bring pollinators and provide more edible crops. If a bug were to come and voraciously eat all the corn, there would still be a large and diverse yield left. This highlights another permaculture principle, which is of cooperation rather than competition; using design, we can find systems that work together to increase yields, rather than compete to push each other out. As noted above, permaculture ecosystems are far more resilient than linear, monoculture systems. Permaculture gardens are designed to incorporate a myriad of crops that all support each other in a complex web of interactions, patterning nature. Each of these crops not only provides food but tends to do more than one job in the garden. For example, beans provide much-needed nitrogen in the soil, as well as providing shade for certain areas. Plants like borage tap deep into the soil to pull minerals up into their leaves. When these drop, they decompose releasing those minerals into the soil, while also produces edible flowers and serving as an incredible medicinal plant to treat sprains and burns. This multi-functionality of a garden creates a web whereby each element serves many functions, and all functions are served by all different elements. Imagine a web; a network of interconnected points. If you were to cut one of those connections, the web will still stand, demonstrating resilience. In a monocropping system, there’s only one thread to cut and cutting it leaves you with nothing. Let’s imagine this sociologically. You wake up each day and go to one job working for one company, earning one wage. Now picture the company going bust, making people redundant, or simply firing you. Imagine you got ill and couldn’t work. In this instance, your one line of income has vanished. In permaculture communities, cottage industry is encouraged. This pattern is one of multiple income streams. Say you have bees and a patch of wild flowers that you planted for them to pollinate. Your main income could be the making and selling of honey. However, with the wax, you may make candles, using the flowers as dyes; similarly, you could make cosmetics in the same way. If all the bees died, you could make natural dyes or paints, or sell freshly cut or dried flowers. In this one small area, you have multiple income streams creating economic resilience through diversification. By employing permaculture techniques, the idea is that the system works so that you don’t have to. For example, employing a rainwater harvesting swale at the top of a terraced garden collects water. 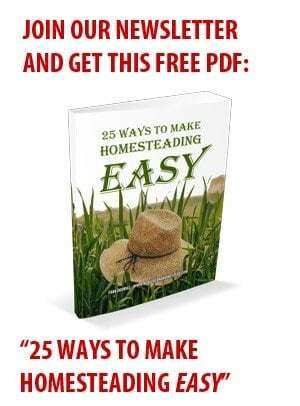 This can be diverted down the garden by gravity to water the garden so that you don’t have to spend hours watering it yourself. Equally, employing chickens to roam around a fallow garden bed will lead to them lightly till the soil while manuring on it, which improves the soil. At the same time, the chickens find their own food in the form of beetles and worms in that soil, meaning you don’t have to feed them. Through innovative design, permaculturalists connect the elements in the system together to minimize work and maximize effect. Due to the scarcity culture in our society, there are huge gaps between those who have and those who don’t. This is seen most strikingly in terms of economic disparity; however, it can also be seen in terms of educative tools, self-esteem and self-worth, personal time, and general freedom. Those who have ‘can’ and those who don’t, ‘can’t’. Due to this, we see certain mechanisms occur to try and rebalance this difference manually. In monocrops, when the plants stop growing due to the degradation of soil or the increase of pests, the manual remedy is pesticides or herbicides. In society, when a single mother doesn’t earn enough money to feed her children, she receives welfare. In neither situation is the root issue fixed. It is simply temporarily patched up, creating long-term reliance on the system. It’s like riding a bicycle over a road of glass and having a mechanic fix the punctures, but never moving the glass or riding on a different road. You become reliant on the mechanic to service your bicycle, rather than finding a solution to stop the punctures. Permaculture seeks to provide the environment for growth, expansion, empowerment. Realizing there is no shortcut to success, permaculture understands that through observation and analysis, pattern recognition, innovative design, and the sharing of surplus – whether that be goods, time, or education – we can create the scenario for empowerment to occur, rather than just giving out the ends without ever working through the means. Rather than buying a tomato, we collect the rainwater, prepare the soil, and grow the seed so that many tomatoes can grow. Rather than giving people the answer, we educate, mentor, provide tools, and make room for others to empower themselves in the direction that is best for them. Through doing this, healthy, self-sustaining, adaptable, diverse ecosystems are created, closing these gaps. While permacultural philosophy is full of beneficial concepts, there are a few hurdles that still need hopping. It is these drawbacks that have contributed to the roadblocks in adoption of permaculture practices in everyday society. Confirmation Bias is the idea that human beings look for arguments and information that already agrees with their opinion. Equally, Groupthink is the idea that groups are so focused on harmony and avoiding conflict, that they will often make decisions that are not based on rational arguments or from studying all available viewpoints. Both these scenarios illustrate the insular manner in which permaculturalists often operate. Rather than seeking to expand innovation by considering viewpoints outside this philosophy, permaculture principles are taken as gospel and without question. This doesn’t always lead to the most logical outcome and can lead to actions being taken while wearing blinkers; not seeing the forest through the trees. While employing a few permaculture techniques in one’s life can be beneficial and not too disruptive, running a full permaculture homestead or a fully-fledged ecovillage is a completely different leap of faith. While there are a few communities that appear to having full working models of permaculture, many of these have only tended to have temporary success until now, are often transient, and require a complete upheaval of personal philosophy and lifestyle choices to fit in (essentially giving up on economic gains in favor of pursuing this life). While Bill Mollison did not advocate a formal education program for permaculture, the Permaculture Design Course has become a popular way for people to learn about this school of thought as well as to be able to define themselves as permaculturalists. This course is undoubtedly enlightening and highly educational, however it is expensive. Following the success of the PDC, many other advanced courses have arisen including the Applied Diploma in Permaculture Design; a requirement to become a teacher of the PDC. In fact, most establishments and individual practitioners rely on the income from education to be economical viable and self-sufficient. In this sense, it calls into question the validity and viability of full permaculture systems. While these eco-communities and homestead should work, it appears that they need educative income to function. 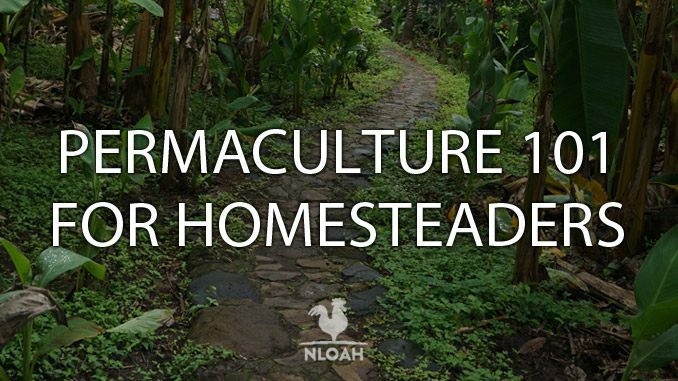 Moreover, since these practitioners rely on this income to survive, they sometimes come to spend more time on these classes than actually practicing permaculture. When you consider that a PDC teacher may teach 25 individuals per class, with 2 of those furthering themselves to become teachers (taking the Applied Diploma) who go on to teach rather than do, it could feel like a Ponzi scheme selling the theory rather than the actual practice. One of the issues with permaculture is its inability to fit into society’s current rhythm. While some of the techniques provide a gateway to a new way of living, the more extreme and holistic versions that create the true spirals of abundance are harder to reach in today’s climate. For example, a cob-built house that utilizes thermal mass and passive energy may seem ideal, but planning permission is expensive, timely, and strict. Moreover, while this idealistic concept of your own self-built home seems optimal, without health and safety regulations, this could be structurally perilous, resulting in some detrimental outcomes. Equally, while barter and service-trade may seem an ideal manner in which to operate to negate the single-threaded reward of money, this is difficult to regulate and tax in our society. In this sense, many things that permaculturalists advocate may be shy of being completely legal, whereas others may be blatantly illegal. For example, rainwater harvesting is severely regulated in some states like Colorado and Texas, whereas it is illegal to live ‘off-the-grid’ in Florida. While the birth of permaculture is attributed to David Holgren and Bill Mollison in the late ’60s, permaculture has deeper roots that reach back to the late 20’s. In 1929, Joseph Russel Smith wrote a book titled Tree Crops: A Permanent Agriculture outlining his experience with tree cropping for human and animal food. This book explains Smith’s concept of the Earth as an interrelated system that functions as a whole, with trees and crops integrating into this. This led to the rise of sustainable agricultural methods, devised by such practitioners as Toyohiko Kagawa, the father of forest farming, and Masanobu Fukuoka, the spearhead of natural farming in Japan in the 1930s; and P.A. Yeoman’s observation-based approach to farming and Keyline Design in the ’40s and ’50s in Australia. Other notable influences include Esther Deans and Ruth Stout, the pioneers of no-dig gardening. In the late 1960s, Mollison and Holgren started to respond to the loss of biodiversity in Tasmania using a design approach to farming. Reacting to the dangers of non-renewable resource use and industrial agriculture, this pair formed their ideas to first present them in Permaculture One in 1978. 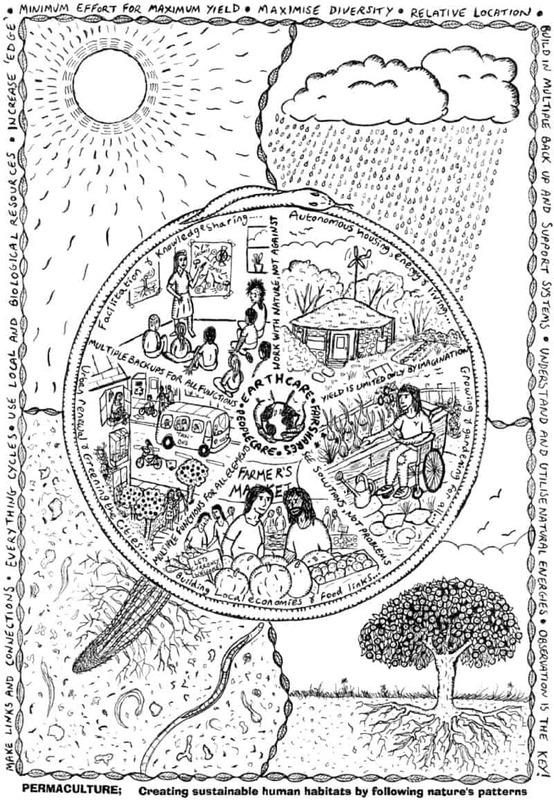 This sparked the design revolution that led permaculture from being simply agricultural based to becoming a tool for sustainable human management in the 1980s, paving the way for practitioners such as Geoff Lawton, Looby Macnamara, and Toby Hemenway to guide permaculture into becoming a wider field of understanding. While both Bill Mollison and David Holgren wrote their own lists of principles, they both cross over significantly. 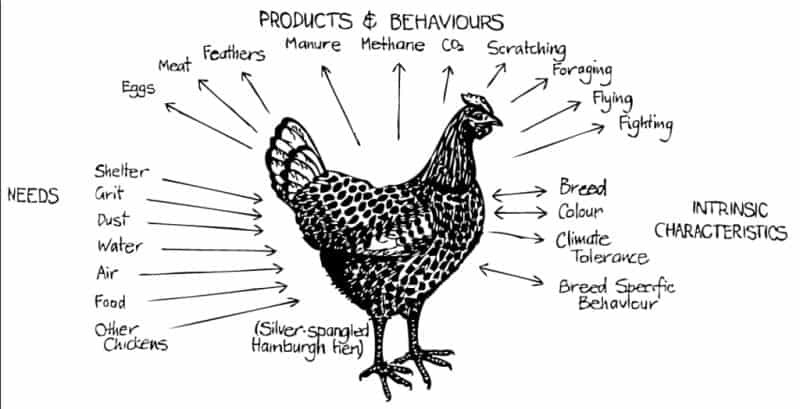 Holgren’s principles are a little simpler to understand and are more easily applicable to all areas of permcaulture beyond simple the agricultural aspects. By observing natural systems and interacting them, we can understand how the patterns work and how to utilize them to live sustainably in abundance. Using the energy cycles that are present in your life will decrease the active energy you need to put into the system. However, it is important to store that energy for times when it isn’t so freely available. This will serve as insurance in times of need. It is imperative that you are receiving true rewards for the work that you put into building and developing systems. Understanding how to review systems and self-evaluate is imperative to prevent or work with any negative feedback that occurs. Listen to critiques wisely and recognize kickbacks that appear in your system, no matter how slowly they occur. Using renewable and biological resources as much as possible will reduce waste, pollution and costs, and will work toward repairing the environment. Designing systems to limit waste leads to closed-loop designs that use any products that would have previously been considered waste. Use creative solutions to turn any waste into a useful product to enhance those systems. Understand the bigger picture first, looking at how things interact to form patterns. Use those patterns to zoom in and create the details that will mimic those patterns that create fruitful outcomes. By integrating different elements in the system, you create the scenarios for unique relationships to develop, enabling elements to work together and support each other. This can lead to surprisingly beneficial outcomes, while decreasing the work for each individual element. Trying to think too big will lead to even bigger trouble if it goes wrong. Small and steady solutions lead to bigger complex working machines that need less maintenance. If a small solution does not go to plan, it is easier to change and fix. Diversity directly reduces vulnerability and increases resilience. Diversity will also lead to a reduction of work and an increase of yield. The interactions between elements are where the most interesting relationships occur. Do not negate the edges for they can bring about beneficial yields that had not previously been considered. Consistent observation enables you to recognize changes that occur within your environment and system and to adapt to these. Responding to change at the right time will help to build a resilient system that moves forward consistently. he idea is to mimic these patterns to create similar results in your own landscape. Once the patterns have been identified in the broader picture, you can zoom in to define the detailed ways in which these patterns can be replicated. Through measuring feedback of these designs, we can zoom in further to understand the details of how each part of this moving machine can be improved to create that desired pattern. Permaculture ecosystems are built with a web of interconnected elements. Elements refer to the different ‘things’ that exist in the system. For a garden this could be different plants, rainwater harvesting techniques, a compost pile, sheet mulching and so on. The term function refers to the purpose each of the elements. The idea is to create a system where each element has many functions and each function in served by many elements. This makes the system far more effective and much more resilient. Zoning refers to the organization of a permaculture site based on how often we use elements and how often we need to service those elements. It creates a more efficient way to manage a site. 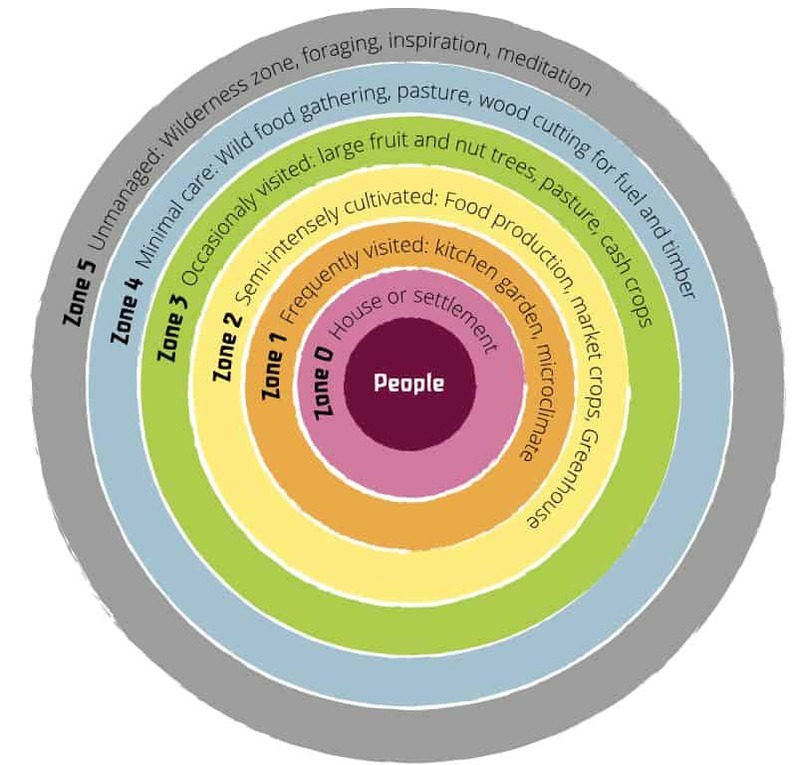 Permaculture employs 5-7 main zones. Zone 00 can refer to yourself with self-care being the closest priority performed the most often. An example of this would be brushing your teeth twice a day, because a person with toothache is not going to be an effective worker in the system. Zone 0 refers to the home. Zone 1 is the area most easily accessed from the home that needs the most intensive care. This area is one you visit every day and needs care once or more times a day, such as a kitchen herb garden or a firewood shed. Zone 2 is visited usually once a day and needs fairly frequent attention while being used often. This could be compost bins, a chicken coop, or perennial vegetables. Zone 3, once established, needs less care than the other sections and is used less. This could be an orchard or a market garden. Zone 4 is largely wild with a little management and is used for wild foraging or for animals to roam. Zone 5 is completely unmanaged and used to observe natural patterns that occur. One of the most well-known permaculture sayings is ‘more edge, more veg’. This is a two-fold concept. On the first hand, this is very literal. For example, where a pond occurs there is an edge where land ends and water starts. Instead of creating a pond in a perfect circle, creating an irregular lobed edge will increase the surface area. As a pond’s edge can grow different vegetables to land or water, increasing the edge’s surface area, literally increases the amount of vegetation that can grow. However, the less obvious meaning of this term is where the real magic happens. Edges are unique in the fact that they create areas of fusion that enable a new type of occurrence. Where land meets water, you have watery land and earthy water in between. These are two completely different entities to land and water and, if managed and utilized, can grow completely different crops, increasing the yield. Apply this to social scenarios in the form of cities meeting rural areas. If unmanaged, these areas of distinct interaction can become areas of negativity, such as violent ghettos, abandoned housing estates, and high crime zones. However, if utilized, these can become flourishing places where rural supply meets urban demand through farmer’s markets, nature trails, and education centers. Increasing the managed edge, increases the space for these unique and dynamic interactions to occur. Energy cycling is one of the key concepts of permaculture and refers very much to reinvesting in the means. By cycling energies back through the system, we reduce waste and pollution and increase yield, while decreasing work. For example, if you were to have pigs and fruit trees, while hunting for food, pigs will turn the soil over with their noses, which tills the soil naturally and eat spoiled fallen fruits. At the same time, they manure on the soil around the trees, improving the quality and therefore the health of the tree and fruit. This fruit ripens and feeds you as the pig grows and provides a second source of food, while having also used its energy to improve the soil and clear the land of spoiled fruit (keeping pests at bay, protecting the tree and you). Having consumed these entities, human manure can also be used to further improve these trees, recycling the energies back into the system. This creates a closed-loop system where all the elements needed are served by other elements in the system. Forest farming is the practice of mimicking the forest pattern for planting. The forest has seven main layers, from canopy to the root system. By planting in this pattern, one space can be utilized for seven different crops instead of just one. Forest farming also employs some of the regenerative and energy cycling methods that naturally occur within the forest, in an attempt to recreate the positive growth seen within forest systems. Rainwater harvesting refers to a series of techniques that are used to catch water and recycle it into the system. Each method, from swales to ‘net and pan’ systems, aims to stop, slow, and spread water across a site. This reduces the need to input water through irrigation. Other rainwater harvesting methods include barrels, ponds, and waffle gardens. Natural building refers to the myriad of techniques used to create structures. 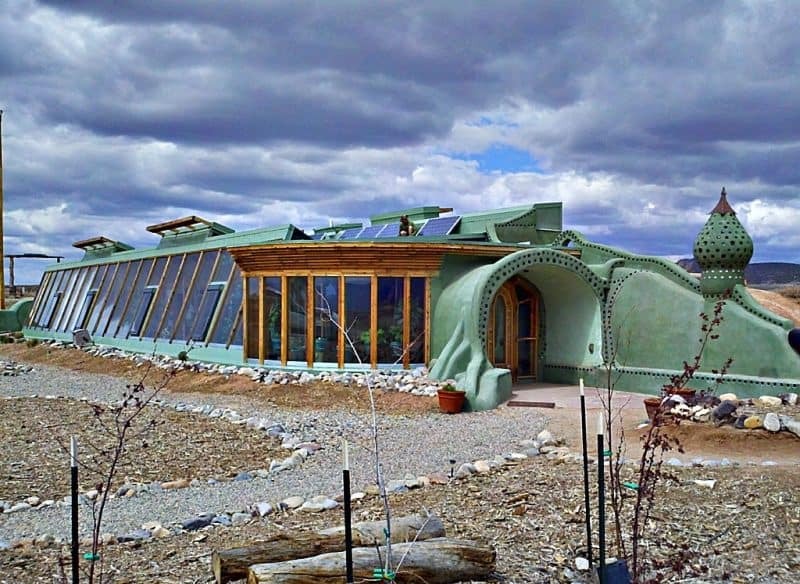 From cob building to earthships, natural building seeks to use natural patterns and utilize natural phenomena to create sustainable buildings that utilize passive energy. One of the People Care mechanisms, Non-Violent Communication was invented by Marshall Rosenburg. It is a way of communicating to create winning scenarios without aggression or passiveness. It is a method of communication that invites open and fruitful conversation without judgment or blame. Communication is key to the efficient functioning of systems, especially social ones. Aggressive conversation leads to defensive reactions, blocking communication channels and causing hold-ups in the system. Non-Violent Communication is a mechanism to keep the system flowing. 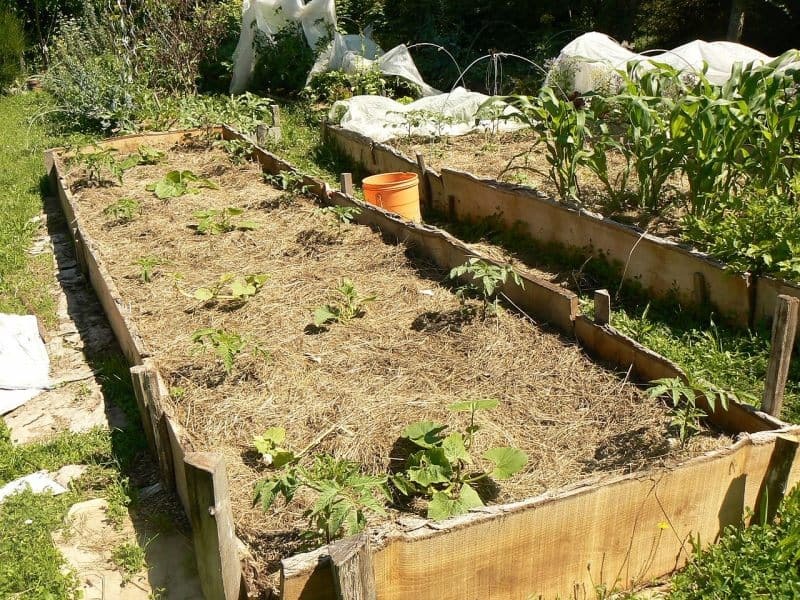 In an effort to increase outputs and minimize work, while using biological resources and reducing waste, sheet mulching is a good example of a permaculture agricultural technique that utilizes a bunch of the principles. Using a balance of nitrogen-rich resources (green leaves and manure) layered with carbon-rich resources (dead leaves and branches) to create on-the-spot composting, it serves as a cover for the soil, suppressing weeds and preventing soil erosion from the climatic elements. Literally translated to ‘hill culture’, hügelkultur is a long-term method for creating incredible soil. When making raised beds, logs are placed under the soil to decompose over time. This invites an army of insects to house within the soil, creating the complex underground ecosystem needed to create a healthy topsoil. By the time the logs have decomposed, there is a wealth of vitamin and mineral rich topsoil crawling with helpful insects, fungus, and bacteria. Transition currencies gets the name from the ‘Transition Movement’ and refers to the development of local currencies. These can occur at town level such as with Brixton and Bristol in the UK, or within smaller ecovillages and communes. Local currencies create economic resilience by bolstering local production and consumption, which stops money leaking out the system. Not only does this create stronger relationships between local people, it also boosts social capital, cooperation, and craftmanship. It also helps to reduce carbon emissions through lowering transportation needs. Passive design refers to the capture of natural energy sources for heat, light, cooling, movement, etc. Without using active technology such as solar panels, passive design seeks to capture these resources without effort. For example, a conventional hot-water shower may pump water through the system to the shower, heat it electrically, and then pump it out of the shower. A passive system would have a rainwater capture tank on the roof. This tank would be painted black, covered with glass or Perspex, and angled toward the sun. The sun would heat the water through thermal mass, and when the shower was turned on, the water would fall due to gravity. No energy is actively input into the system, only passively directed toward use. While gardening techniques can produce food, one of the important concepts of permaculture is designing over time. Not all climates have year-round growing systems so it is important to consider food sources in these inactive periods. Food preservation techniques – such as canning, fermenting, root storage, drying, jams, pickles, chutneys, and sauces – are all ways to store food for these seasons. Equally, processes such as fermenting are highly nutritious to the body and help to improve the immune system by balancing the gut flora. Pharmaceutical companies are driven by profit and many people are skeptical to their practices. Equally, this type of medical system is reactive; only curing issues once they have occurred. Through diet and medicinal plants and flowers, permaculturalists practice natural and preventative medicine. From growing ginger and drinking it as a morning tea to creating aromatherapy oils for anxiety, the garden is a wealth of resources for preventing illness and restoring health. Permaculture is as simple or as complex as you make it. The idea is to start with slow and steady solutions, doing only what you can manage. There are a whole range of resources online and workshops that you can attend that will help you to learn the skills. 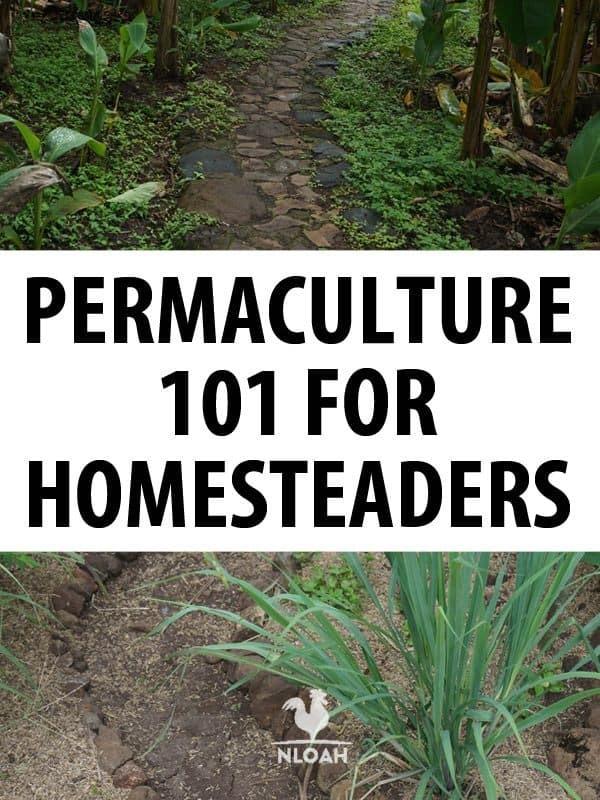 In terms of hard work, permaculture can be hard work when starting out, as gardening, building houses, and creating systems in general takes a lot of time and effort. However, the idea is that over time, you build the system to work so you don’t have to. Is Permaculture basically sustainable gardening? Yes and no. Permaculture incorporates the concept of sustainable gardening but is not limited to it. Permaculture is about building regenerative settlements through closed-loop system design. In this sense, sustainable and intensive gardening methods are used to grow food, medicines, fibers, and other resources. However, permaculture is the umbrella term that embraces many techniques and skills such as natural building, energy capture, rainwater harvesting, sustainable people governance, and fairshare economics. Do you need to own land to be a permaculturalist? No. Many people who don’t own land gain access to land to practice permaculture by renting, land swaps, borrowing land, and working for someone else. Some people volunteer with projects that already exist or upcoming establishments. On other sense, such as introducing school gardens, some people become consultants to add permaculture features to other networks and systems. 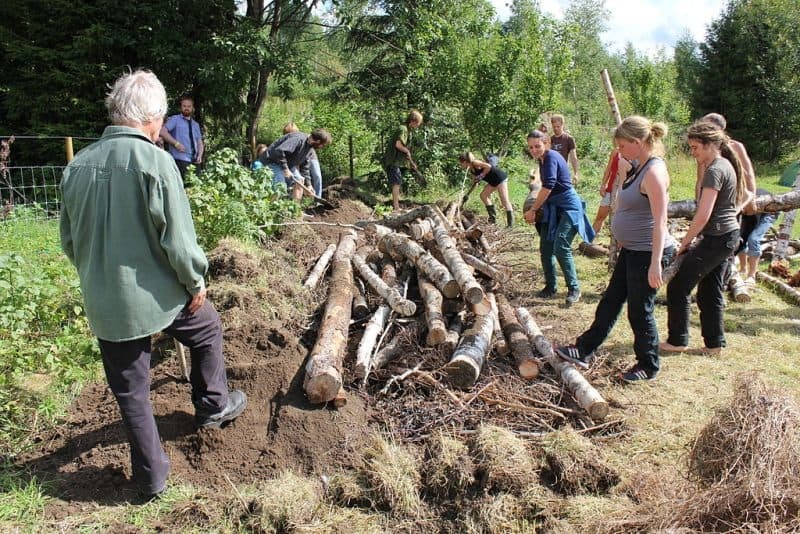 Intermittent permaculture is a term often used to describe people who practice permaculture on-the-go, finding projects as they travel and dipping into those. Do you have to take the Permaculture Design Course (PDC)? You do not have to take a PDC. There are plenty of resources available both at cost and free. There are a wealth of books and a whole range of online resources that you can use. You can attend other types of workshops and courses and can practice at home. However, those who do take the PDC find it to be a very eye-opening experience that allows them to learn with other like-minded people, create a network of other contacts, and to delve into concepts they may not have personally researched. Which books are the best to learn more? In short, permaculture is a toolbox of mechanisms to increase regeneration and stem the leakage of resources that lead to waste and pollution. Seeking to take care of the earth, the people in it, and to reinvest in the systems we wish to perpetuate, permaculture teaches empowerment to create resilience and regeneration. Where ‘the problem is the solution’, permaculture aims to redesign the patterns of our cultures to mimic the unbelievably adaptable and resilient patterns of nature to promote strength and positive sustainability within our own manmade systems. Emmy Jenkins, AKA Permie Emmy, has spent many years traveling around the globe and working remotely, dipping her toes into a myriad of disciplines. 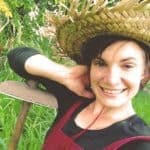 Having spent several years volunteering on sustainable farms, Emmy chose to delve deeper into permaculture theory to understand the social and economic patterns often neglected in the philosophy. When she’s not planting edible gardens and frolicking the jungle, she’s consulting on projects around the world to help permaculturalists to understand regenerative ‘Fairshare’ economic patterns and to encourage People Care patterns that focus on biomimicry.